A palette of beautiful colors needs your help to get organized. This quick color matching puzzle game is easy to learn and difficult to put down. &bull; Join four or more tiles of the same color to clear them off the board. &bull; Magic Circle tiles will clear all tiles of a specific color off the board. &bull; Clear multiple groups of tiles in a single move for bonus points. 1. 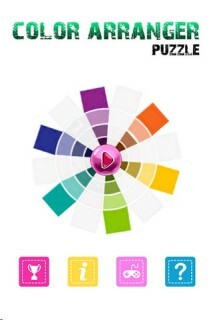 Addictive color matching puzzle game. 2. Multiple game modes like Arcade, strategy and many more. 3. Beautiful colors with latest theme. 4. Google Play leaderboards and achievements for all game modes.